Collected by Nick Stewart, Edenderry, Co. Offaly, Ireland. 31 Dec 2018. © C.F.Carter (chris.carter'at' 6cvw.freeuk.com. Collected by Nick Stewart, Edenderry, Co. Offaly. 31 Dec 2018. © C.F.Carter (chris.carter'at' 6cvw.freeuk.com. Nitella tenuissima (Desvaux) Kützing Courtesy of Nick Stewart and Tristan Hatton-Ellis. Cors Erdreinniog, Anglesey, Wales. 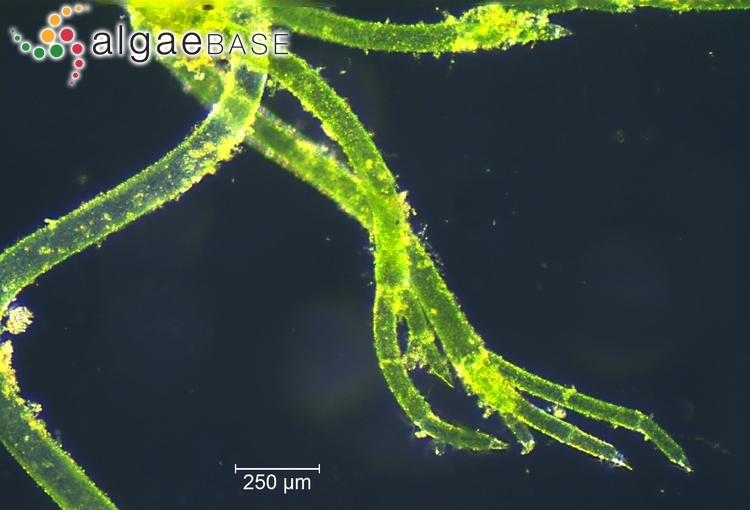 Thallus tip. Red-cyan anaglyph. 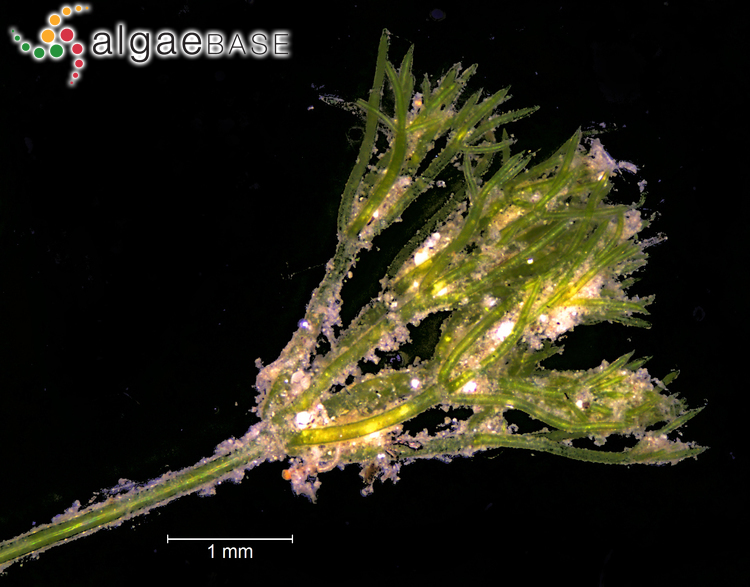 Type locality: France: Haut-Poitou (Silva 1996-to date). 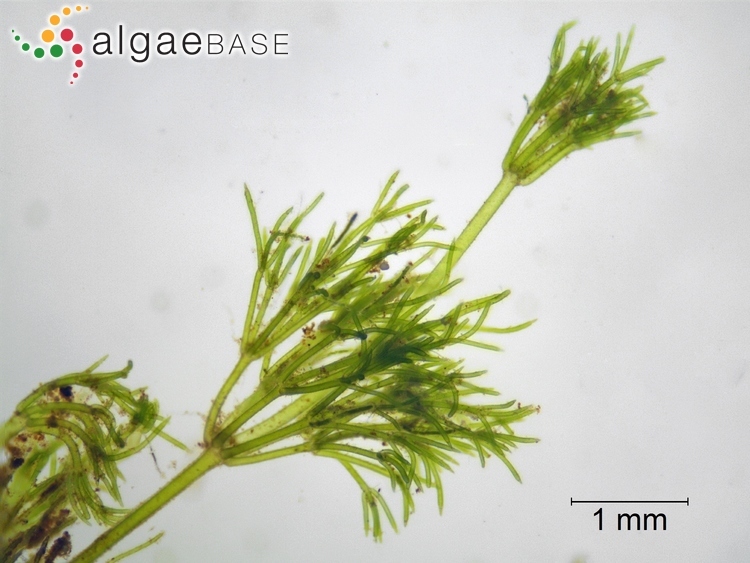 English: Dwarf Stonewort (Stewart & Church 1992). The plants are to 10 cm high and often encrusted. 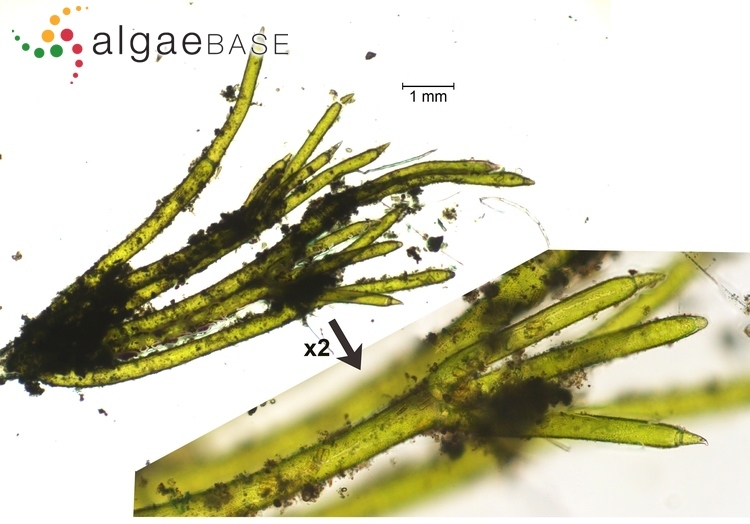 In this species the branchlets form compact whorls and this together with the long internodes, gives the algae an appearance of a pearl necklace. The axis is only 300 m in diameter. The branchlets are 2-4 divided and have 2-celled dactyls. The species is monoecious. The gametangia are at the second and the third branchlet furcation. 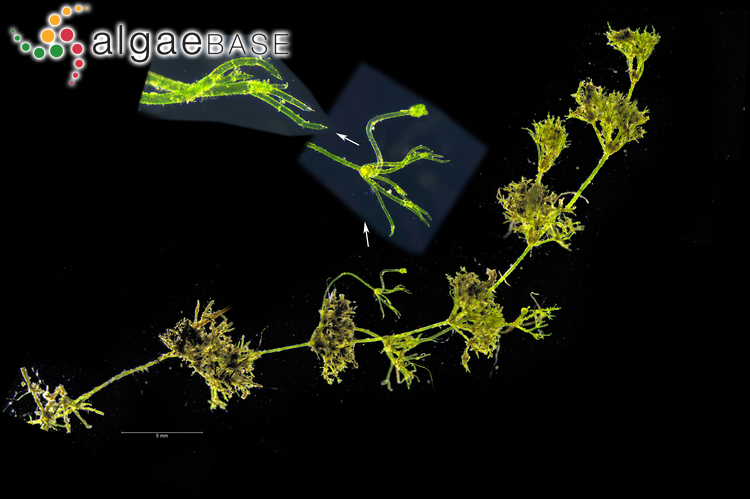 The oogonia are less than 450 m long. The oospore is golden brown and has a strongly reticulate membrane. 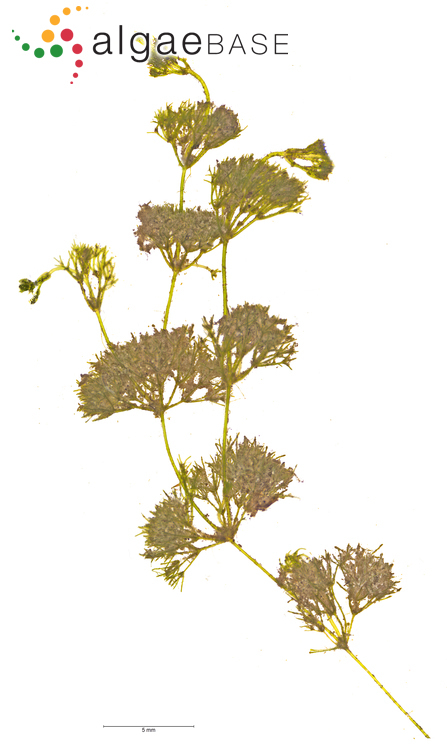 The antheridium is less than 200 m in diameter. 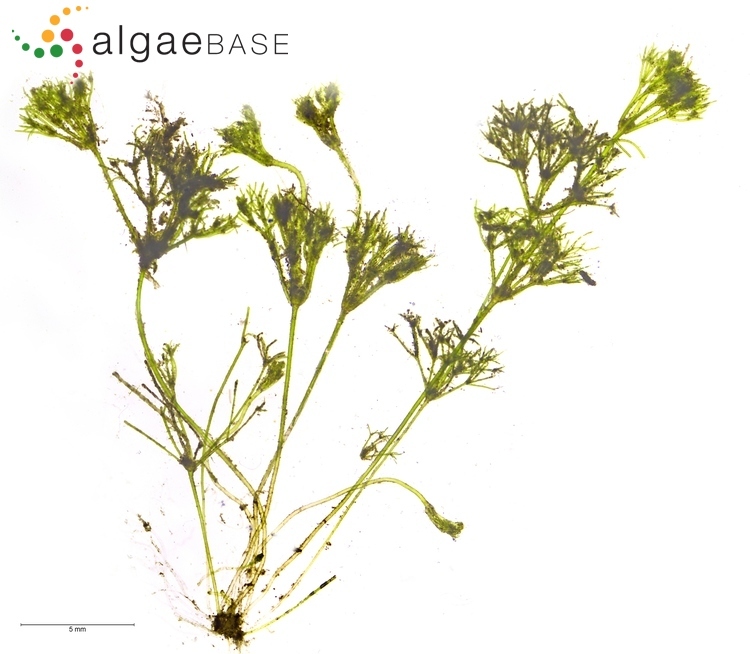 Nitella tenuissima is found in calcareous areas, shallow pools, ponds, peat pits and ditches. 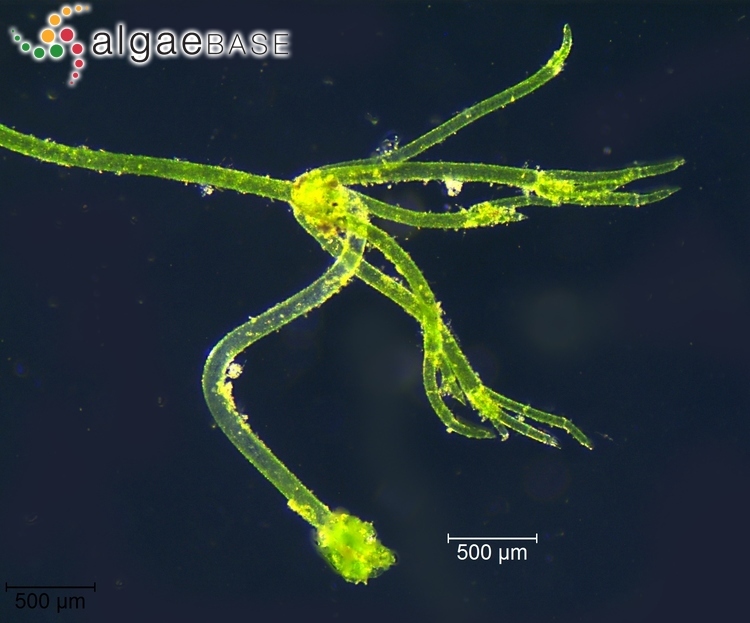 The species is easy wiped out of competition from other algae and plants. This has been reported from several localities in Britain (Stewart & Church 1991), and is also the most probable reason for its disappearance in Sweden. 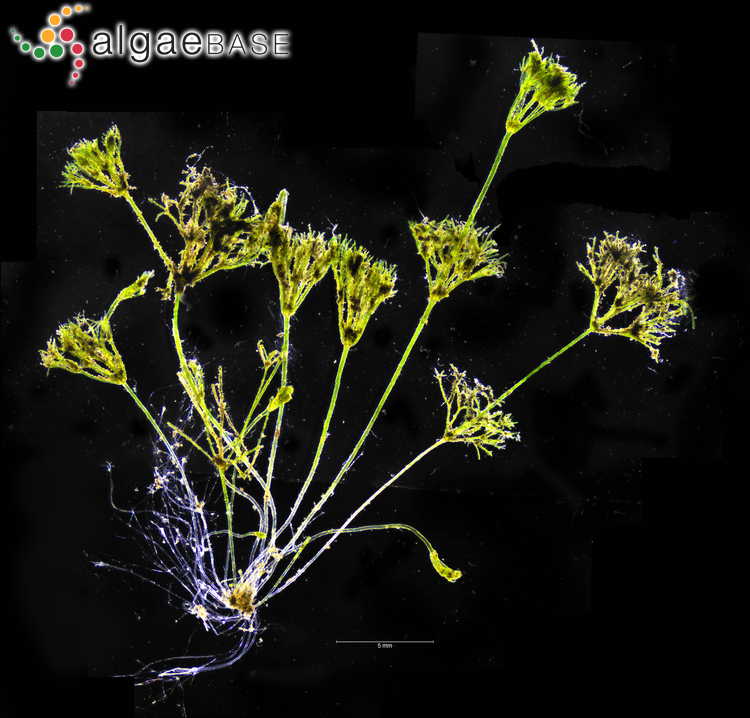 The species is annual and is found in shallow waters, to 20-30 cm depth. In the area there is no observation on the fructification of this species. 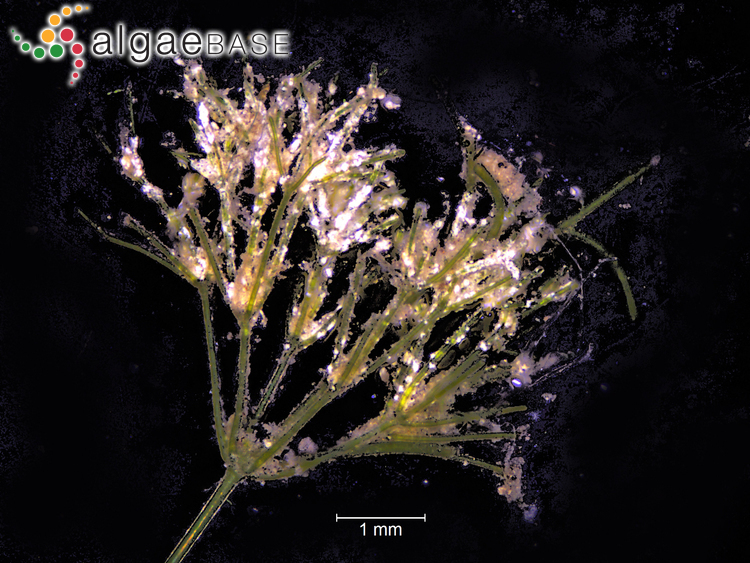 The oospores can survive for many years in the sediment, and than colonize new open areas in the lake if the competing vegetation is removed. Accesses: This record has been accessed by users 1795 times since it was created. Caffrey, J.M. & Monahan, C. (1994). 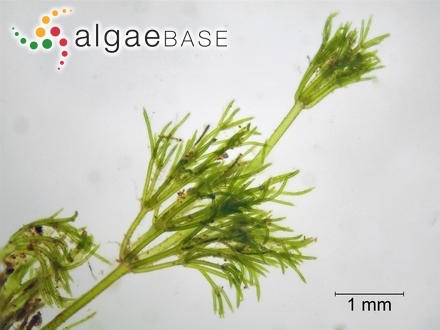 The occurrence of a rare charophyte Nitella tenuissima (Desv.) Kütz. in a newly-constructed section of the Grand Canal. Irish Naturalists' Journal 24: 405-408. Pericàs, J.J. & Martínez Taberner, A. (1983). 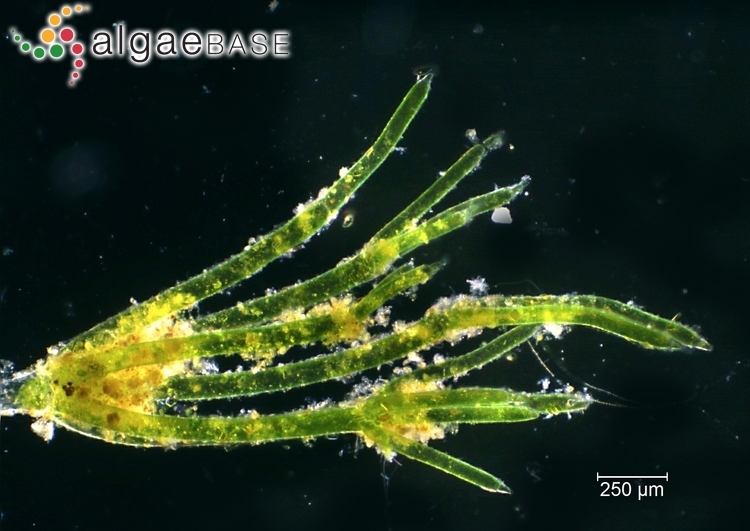 Nitellopsis obtusa (Desv. in Lois.) J. Groves i Nitella tenuissima (Desv.) Kütz., dues carofícies noves per a la flora de les Balears. Boll. Soc. Hist. Nat. Balears 27: 209-212.